This VGA PC to PAL-NTSC Video Converter allows the image from your computer to be displayed on your TV. The unit is designed to convert a variety of computer images to interlaced NTSC or PAL video for viewing on your TV, and is capable of handling high resolution PC input up to UXGA (1600x1200). 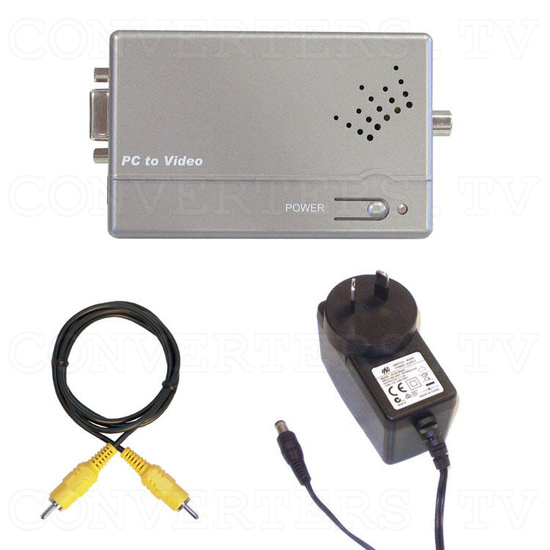 The VGA PC to PAL-NTSC Video Converter is capable of handling resolutions from 640x480 up to 1600x1200. The unit is remarkably easy to set up and use. It includes one PC input port where you can connect your PC's VGA cable, while the output of the VGA PC to PAL-NTSC Video Converter is selectable between Composite Video or S-Video for connection to your monitor. 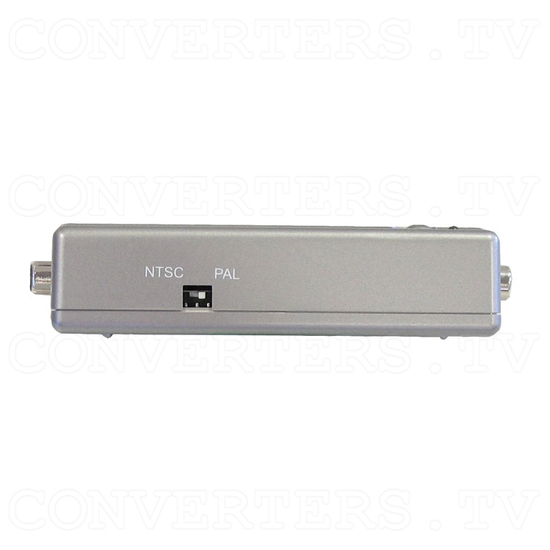 The VGA PC to PAL-NTSC Video Converter also allows you to switch between NTSC or PAL, depending on your monitor system. It is ideal for home theatre and entertainment use, as well as applications that include video conferences, business presentations, lectures and advertising purposes. The VGA PC to PAL-NTSC Video Converter has built in 'retain last settings' function. 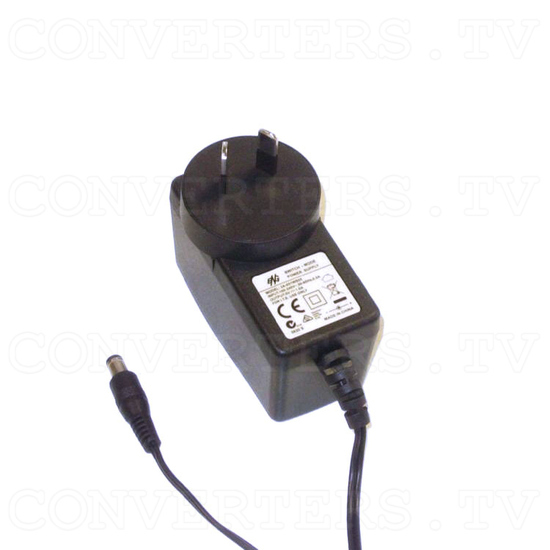 This means that, even if power is totally removed from the converter, when power is re-connected, the converter will automatically start with the parameters last used. 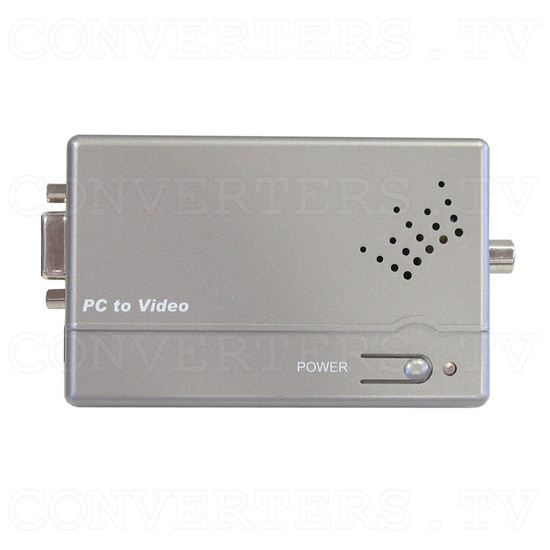 This VGA PC to PAL-NTSC Video Converter allows the image from your computer to be displayed on your TV. The unit is designed to convert a variety of computer images to interlaced NTSC or PAL video for viewing on your TV, and is capable of handling high resolution PC input up to UXGA (1600x1200). 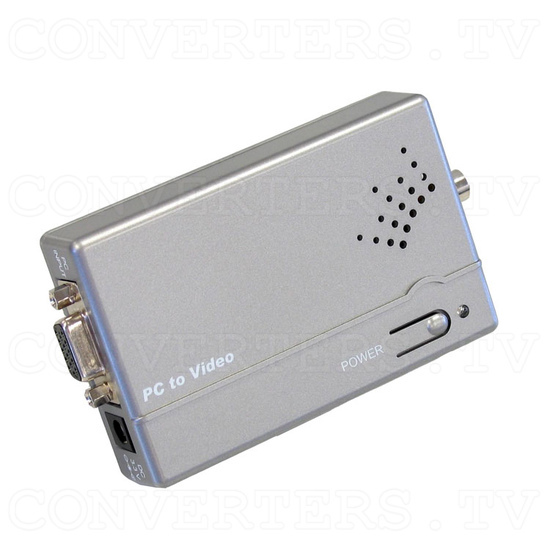 The VGA PC to PAL-NTSC Video Converter is capable of handling resolutions from 640x480 up to 1600x1200. The unit is remarkably easy to set up and use. It includes one PC input port where you can connect your PC's VGA cable, while the output of the VGA PC to PAL-NTSC Video Converter is selectable between Composite Video or S-Video for connection to your monitor. 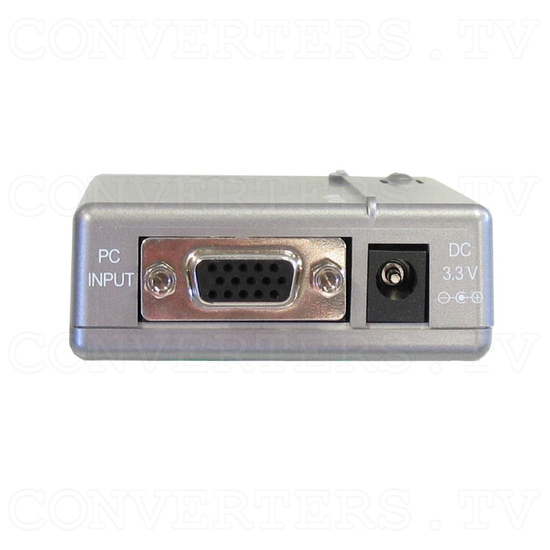 The VGA PC to PAL-NTSC Video Converter also allows you to switch between NTSC or PAL, depending on your monitor system. It is ideal for home theatre and entertainment use, as well as applications that include video conferences, business presentations, lectures and advertising purposes. The VGA PC to PAL-NTSC Video Converter has built in 'retain last settings' function. This means that, even if power is totally removed from the converter, when power is re-connected, the converter will automatically start with the parameters last used. Educational Facilities such as Schools and Universities. Shopping Malls and Large Retail Shops. Recreational Resort and Accommodation Facilities. Lecture Professors, Public and Private Teachers. Concert, Stage and Theatre groups. Lightweight, durable, silver/grey hard plastic casing. Easy scale-down from PC resolutions VGA to UXGA to Composite & S-Video output. All connectors and switches clearly labelled and accessible. Switch selectable NTSC or PAL output. Switch selectable Underscan or Overscan selection. PC input resolutions: VGA (640 x 480) upto UXGA (1600 x 1200). PC input connection: 15 pin HD D-con. 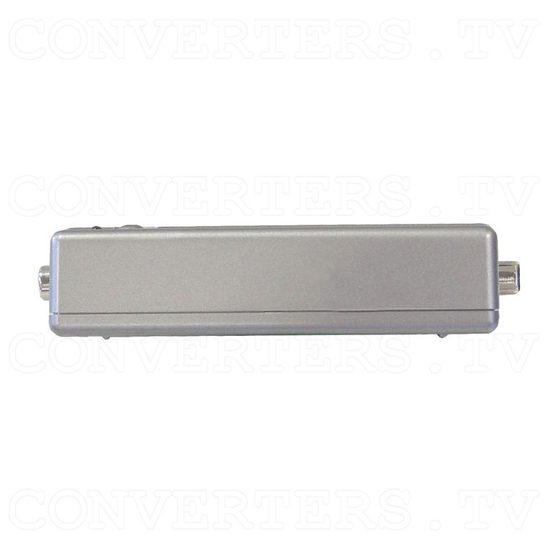 Composite Video output connector: 1 x RCA socket 1v p-p 75 ohm. 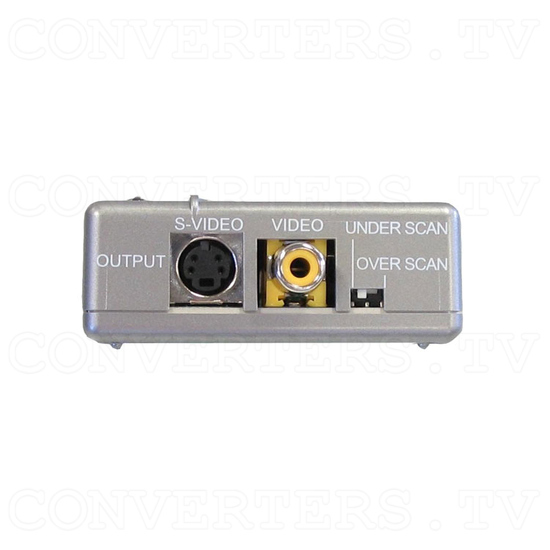 S-Video output connector: 1 x Mini-Din 1v p-p 75 ohm. Standards & Certifications: US, EU, CE/FCC/UL.